This has been my go-to style lately. 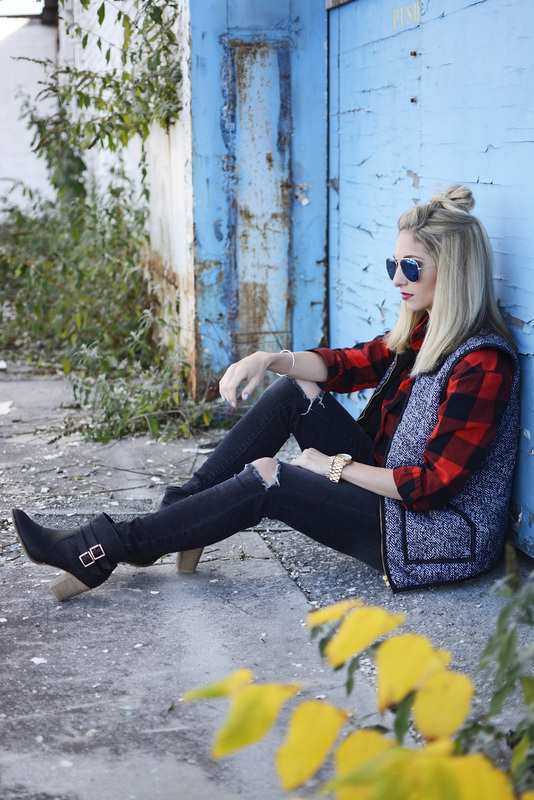 Ripped denim, ankle boots and a casual top. I love that it's super comfortable and casual, but has a bit of edge to it. When people ask me what my style is I really don't know what to say? All of them? 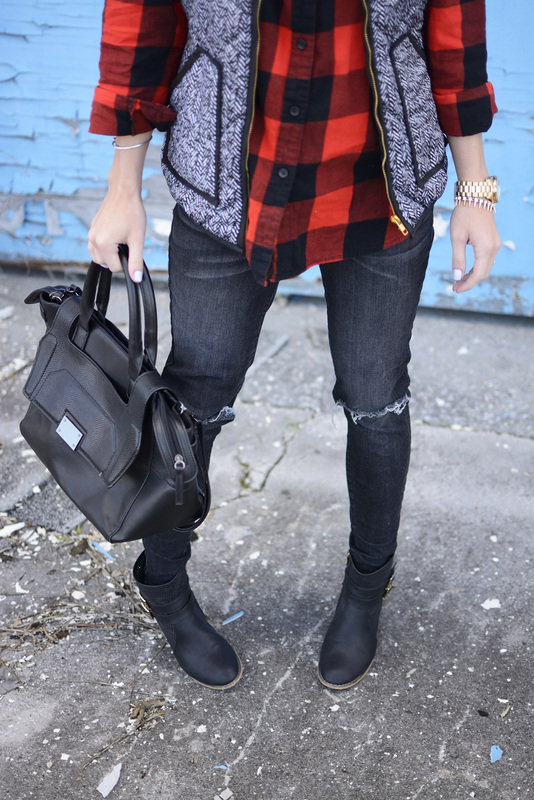 I love clothes and I love that I can portray a certain look through them. I dress depending on my mood. If I'm feeling super girly when I wake up I go for the blush top, pearls and a bun a flirty dress and hair extensions. If I'm feeling more "get crap done" I tend to go for a grungier, edgy look like the one I'm showing you now and this one. <-- same jeans! Apparently these are my "get S*#@ done jeans! When I'm feeling classic I go for a blazer (minus the pregnant belly haha). I also like casual, earthy looks too like this one and this one. If I'm feeling like a worn out mom (most regularly) I go in yoga pants! Basically I'm all over the place! Just like my mood. I am female. What style do you typically gravitate to? 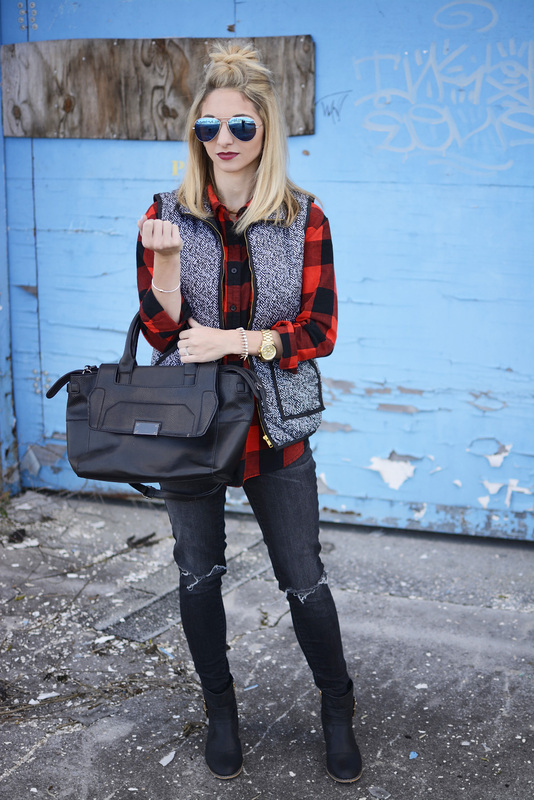 9 comments on "Edgy with Buffalo Plaid & Herringbone"
I love this! 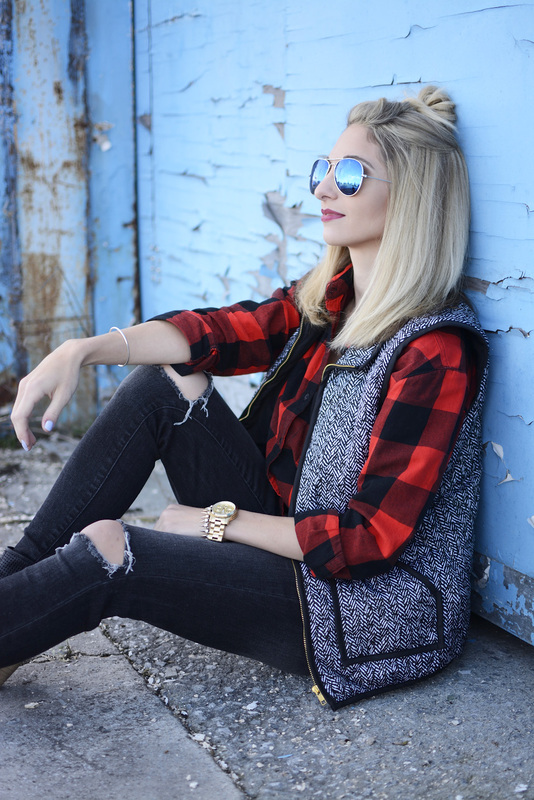 I think I need to finally get with the times and purchase a buffalo plaid shirt. You are totally killing the edgy vibe! I don't think I could ever pull that off. Love your hair, too! 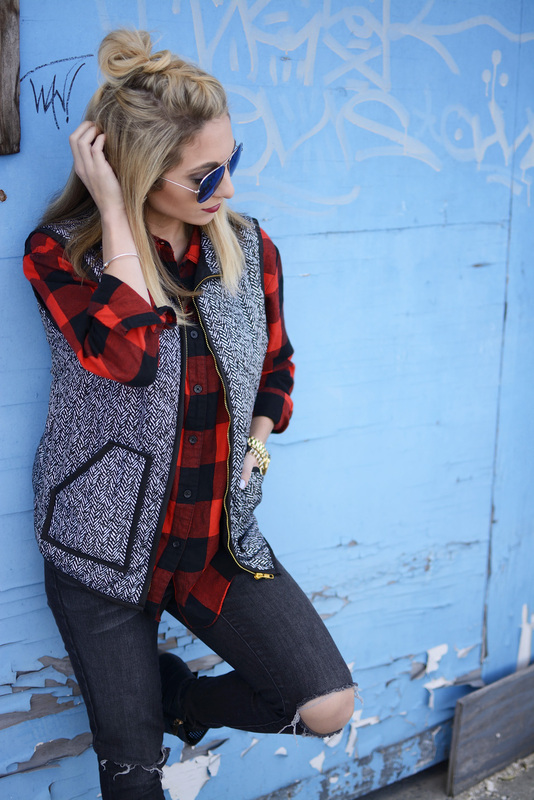 I'm so with you girl, jeans + plaid + vest has been my casual friday/weekend uniform! 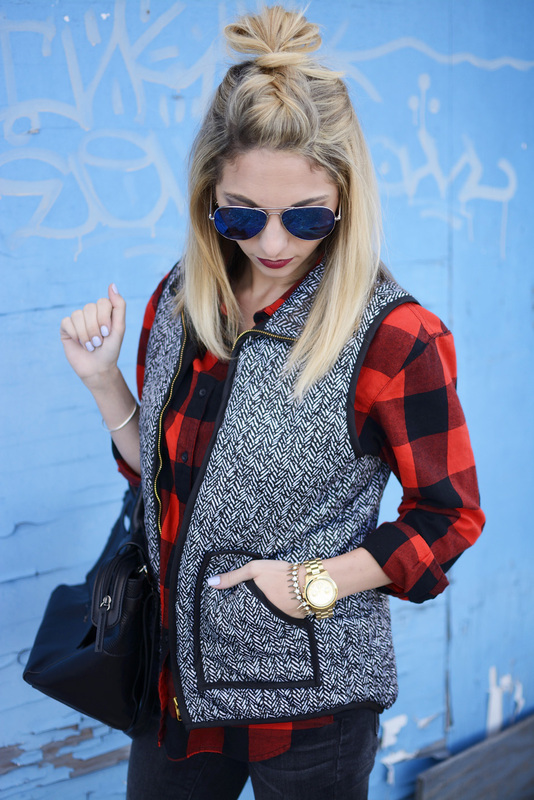 I love the herringbone pattern - it's still neutral but adds an extra pattern to the mix! Girl, I loveeeee your hair style! What a cool idea! I love every style you put together! I need to get a bit more creative. The outfit is perfect but your hair! I wish I could pull that off, it's so cute but looks so effortless. I love that you didn't limit yourself in your style! I think it's so one-dimensional to say that we only dress one way. We don't! 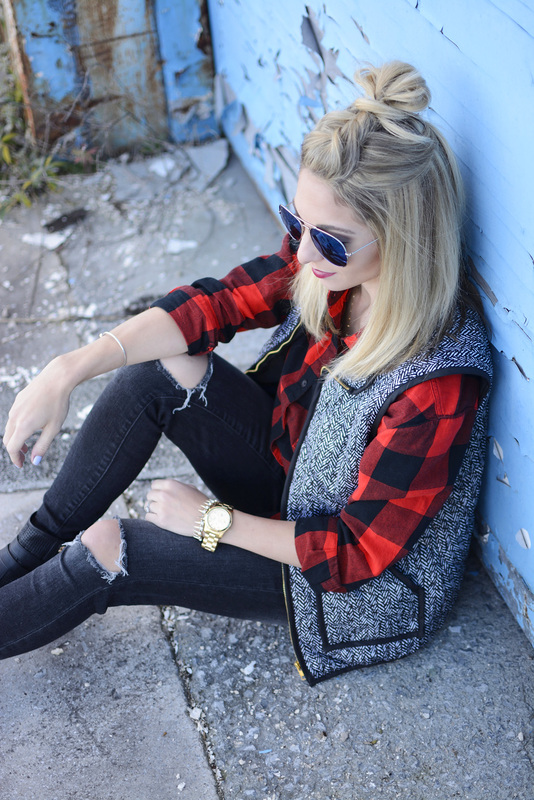 We have preppy days and grunge days and everything in-between. Out clothes can reflect that! Love this outfit! 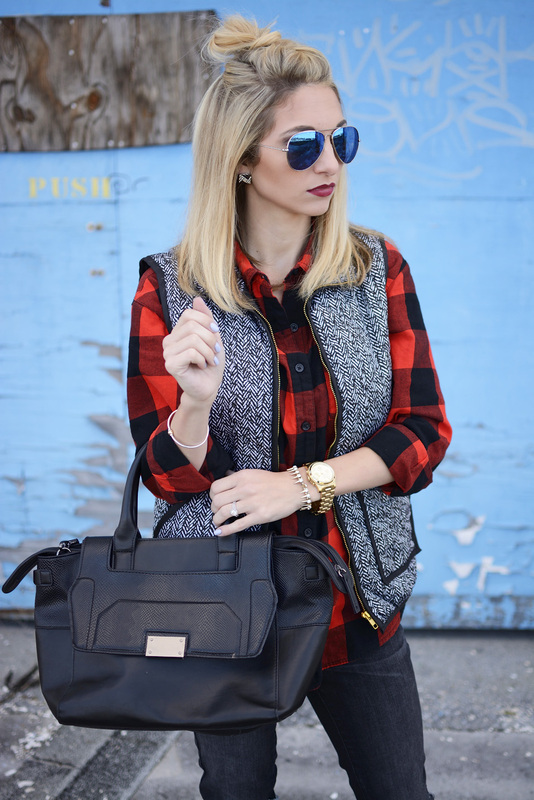 That vest is so cute and you can dress it up or down! I can't say what my style is either, I like anything depending on my mood.